Weather conditions betray you during a photoshoot? Don’t worry, FixThePhoto prepared a collection of Free Fog Brushes for you to make your photos moody. In this free bundle of 10 Photoshop brushes we have gathered a set of different shapes, colors, sizes of fog that may help you create an effect of natural fog in Photoshop. A beautiful mist will not just enhance your photos, but also give them some incredible atmosphere and mystery. With the help of these free Photoshop fog brushes, you will be able to create the haze or draw hazy clouds above the surface easily. If you ever wanted to add some mystery, or some drama to your picture, create a mysterious and even scary forest scene, or sullen climate of some street in the suburb of your town, this freebie is right for you. Wanted to convey the atmosphere of the concert where everything filled with smoke? Did you know how to do it? Or you just tried to create a feeling of fog in vain? 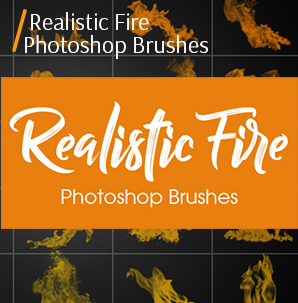 Now it will be easier and faster for you, because this amazing collection of fog brushes for Photoshop will give you the opportunity to make a photo mist without worrying about the transparency, color and intensity to get it look realistic and fine. 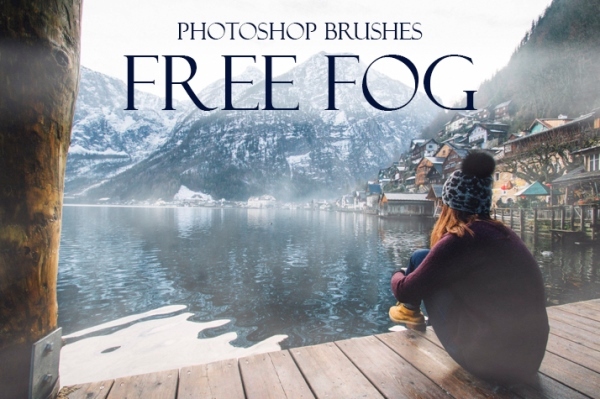 Today we want to give you 10 Photoshop brushes: free fog and mist. This will allow you to add magical touch and express your mood on your images. Remember that wonderful feeling when you catch the tranquility of the early morning or chilly misty dawn? It is really hard to capture it and convey that atmosphere. Fortunately, there is a way to simulate such effects very easily due to the Photoshop software and its wide choice of effects and brushes. By the way, it is very important to choose the right pictures for such photo retouching to make the effect look more realistic. You should understand that these free fog Photoshop brushes are created to emphasize the mood and the environment on the photo, but not to create it in the photos where there is no sign of it. So in order to succeed in this case, choose the natural pictures with feeling of misty and foggy. What is also very important is not to be afraid to experiment and try something new with this collection of fog brushes for Photoshop. • Free download and quick installing. With the help of this type of free fog Photoshop brushes, you are guaranteed to create some dense mist together with the corresponding cold atmosphere. It will add the feeling of deepness and coldness and even some estrangement. Such brush will be especially suitable for gloomy photos of the nature and people on the nature far away from the city life where the peace and quiet dominate. Add a little mist to the portrait or the subject, creating an illusion as if she or he stays in a fog. Highly recommend to use on black and white images. If you’ve been to the mountains, you must remember that light fog and the feeling of greatness. Whether you’ve been there or not, you have a chance to reproduce that atmosphere using this kind of fog brushes Photoshop free. It will help you to add a bland fog and it’ll also create a feel of mountain heights. As you could already understand, the perfect photos for such brush will be those taken in the mountains, but it could be also the photos of nature. Change the brush’s settings according to the objects distance – closer objects with a brush with low opacity and distant photos with a brush with medium opacity. What would you do if your photo needed to be more mysterious and dramatic? The right decision is to try this brush of the set of the FixThePhoto Photoshop fog brushes free download! It will serve perfect if you need to add some wispy mist on the background. Using this brush for portraits as well as for fashion photos will bring nothing, but pleasure. If you want to get a high-quality picture as a result, gently erase the mist in the upper part of the image after drawing it. You should do it because in nature mist floats closer to the ground. Go through the image of the model or other object with a brush with low opacity and hardness. The closer the object is to the foreground, the more transparent the layer of fog must be. With this brush of the collection of free Photoshop brushes fog will look semi-transparent and very natural. Such effect will suit great for aerial photography if you want to convey the feeling of heights. It will be better to create a fog effect more saturate and bright on the photos made at night. With this brush a raising mist can be created, something like the morning mist. The landscape photos will look very effective, especially when there is the morning sun. Choose this brush in the pack of the free Photoshop fog brushes, download it and enjoy! Before you start, remember how the fog looks in real life. First, it must be dense, so that practically nothing is visible through it. Secondly, the area of fog in the foreground should have a higher degree of detail - this can be a curl or twisting into the air. Highly recommended for sunrise photos. You can draw some dense mist, so that the picture will seem wore meaningful and deep. You can use fashion photos for this as well as portrait photography. By means of this type of free Photoshop brushes fog will look fabulous. By the way, if the picture looks despondent in general and it seems like the main object and the background were shot in different places and lights, adding the effect of fog will help you link these two pictures and get a good image. Highly recommended for landscape photos. With this kind of free fog brushes Photoshop retouching will be a great pleasure. It’ll be especially suitable for sunny and lively photos, whether it’s a portrait or street photography. There will be an effect of light wispy mist and the glare of the sun. Before you start retouching, we recommend you to lighten the image and make it clear, as the mist is usually somewhere denser and somewhere weaker. The brush number eight in the set of fog Photoshop brushes free download is very useful if you want to add some clear and dense fog in your landscape photos. By the way, with the help of this brush your fog and mist look very effective especially in the pictures where there is a river, lake or ocean. 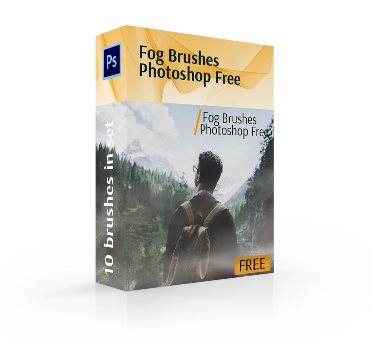 Make your photo memorable using one of the best brush in the set of the fog Photoshop brushes free download. Create the effect of ground mist in your landscape or street style photos. In addition, adding fog to the photo can divert attention from undesirable elements on the general background. Perfect brush for making posters, collages. This brush is able to add a light raising mist to your photo, so that it’ll be magnetic and gripping. Do not overdo with transparency and clarity. Change color or size – play with the brush settings to make a natural mist. Looks great on outdoor portrait in film style. 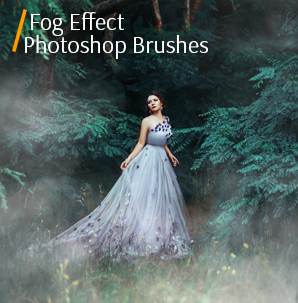 Express your current mood with the help of this collection of 10 Fog brushes for Photoshop. With a single click receive beautiful and natural fog or mist to your photo. So, choose your unique free Photoshop fog brushes download them easily and enjoy your photos!